It will be a while before "Five Nights at Freddy's" movie hits the big screen so as fans wait for the project to see the light of day, they can focus on an entirely new release from the franchise for now. A new novel called "Five Nights at Freddy's: The Twisted Ones" is set for release June 27. It serves as the follow-up to the first book, "Five Nights at Freddy's: The Silver Eyes." "Even with the excitement of a new school and a fresh start, she's still haunted by nightmares of a masked murderer and four gruesome animatronic puppets. Charlie thinks her ordeal is over, but when a series of bodies are discovered near her school-bearing wounds that are disturbingly familiar-she finds herself drawn back into the world of her father's frightening creations. Something twisted is hunting Charlie, and this time if it finds her, it's not letting her go." The first "Five Nights at Freddy's" book was quite a hit was quite a hit having received a majority of positive reviews from Amazon Kindle readers. The sequel is expected to up the ante. Fans can now pre-order "Five Nights at Freddy's: The Twisted Ones" on Amazon for only $7.03 to avail of a $2.96 discount. Those who have not checked out "Five Nights at Freddy's: The Silver Eyes" yet can purchase it here. 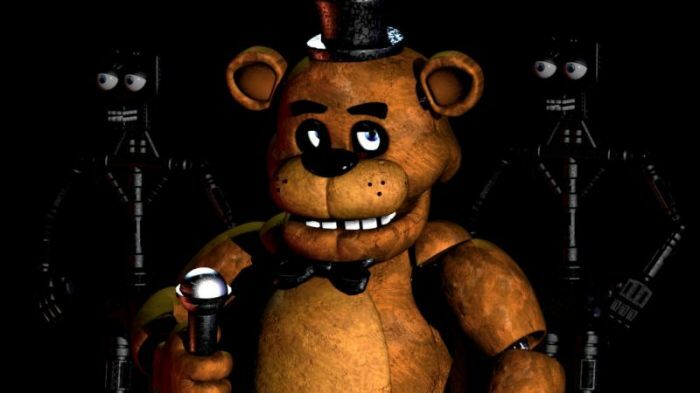 As for the "Five Nights at Freddy's" movie, Cawthon revealed on Steam Community that "several delays and roadblocks" caused the development to go "back to square one." Some of the issues they met in the making of the film involved "problems within the movie industry as a whole." The project was first announced in 2015. Ever since, updates about it have been scarce, which led fans to think that it might not hit the big screen. Early last year, Cawthon said that they were working on the script. It turns out it will be a long way to go before the "Five Nights at Freddy's" movie arrives.